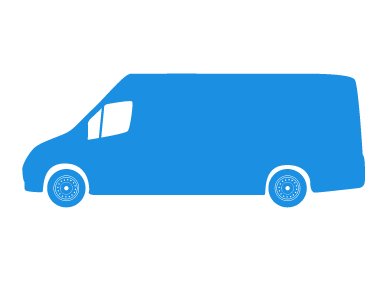 Adrian Flux have launched new courier van insurance policies, allowing couriers to get extensive and comprehensive cover at a great price. Adrian Flux is a specialist insurance broker and we realise the importance of practical and varied cover for courier vans. Enter your details to get a free courier quote now! Free legal cover of £100,000 comes as standard. Optional breakdown cover can also be added. Payment plans available to spread the cost. No claims discounts of up to 65%. Support for self-employed couriers, including employed couriers transferring to self-employed status. Insurance for point-to-point or multi-drop couriers. Cover for niche areas including medical couriers, document couriers, etc. No Claims Bonuses can be transferred from previous company employment. 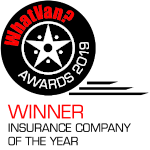 We are able to accept proof of claim free driving from previous employers including Business Post, Yodel, City Link, Ceva Logistics, Parcelforce, FedEx, DHL, City Sprint, TNT, UPS and UK Mail. Transfer of no-claims bonus entitlement from van insurance or car insurance policies available. Call 0800 369 8590 or enter your details for a free courier quote. Adrian Flux has long been established as one of the leading specialist van insurance brokers in the UK. Our highly trained team know about the types of cover a courier or delivery service will be looking for, and are dedicated to getting our customers the most suitable and best priced deal available. The courier insurance scheme is available in the UK to couriers over the age of 21, and we can assure courier services that our policies will allow peace of mind that their driver and vehicles are suitably protected, should anything go wrong. Our policy booklet is available for customers wishing to view the details of this policy scheme. Get a great value courier insurance quote now - call 0800 369 8590 or click the button to get a quote.